If you’re looking to see Ireland in 7 days, look no further. You have just found the best possible way to see Ireland. A whole week to explore, relax, absorb, refresh and learn about this fascinating and beautiful island. A fantastic & comprehensive tour of the south-west and west of Ireland. Spend 7 days exploring this part of Ireland, combining off the beaten track exploring & Irish highlights. 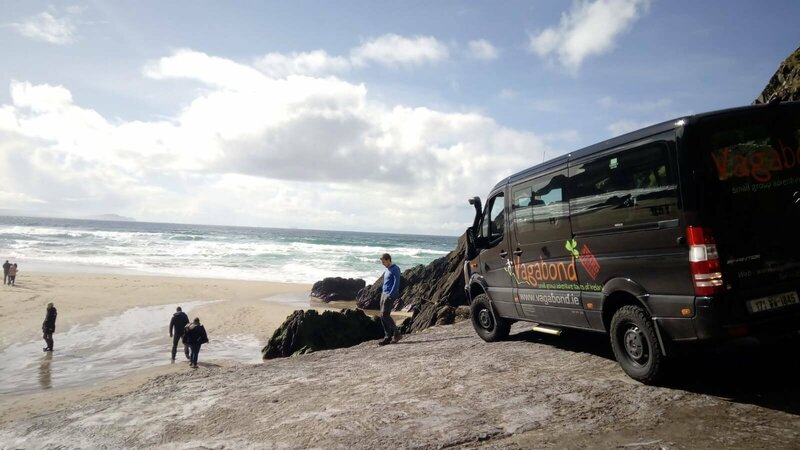 Like all Vagabond adventures, this 7-day tour is a great blend of outdoor activity, great scenery, relaxing pubs and moments that you will remember for years to come. This tour is very similar and follows the same route as our 8-day award winning tour but is just a day shorter. The tours leave from Dublin city centre at 08.20am on the first morning and get back about 6 pm on the last day. So we would advise arriving at least the night before and if you would be planning to fly out on the last night, then not to book a flight before 9 pm. First, the tour heads down to the South West to Cork and Kerry and the three peninsulas of Beara, Iveragh (The Ring of Kerry) and Dingle. 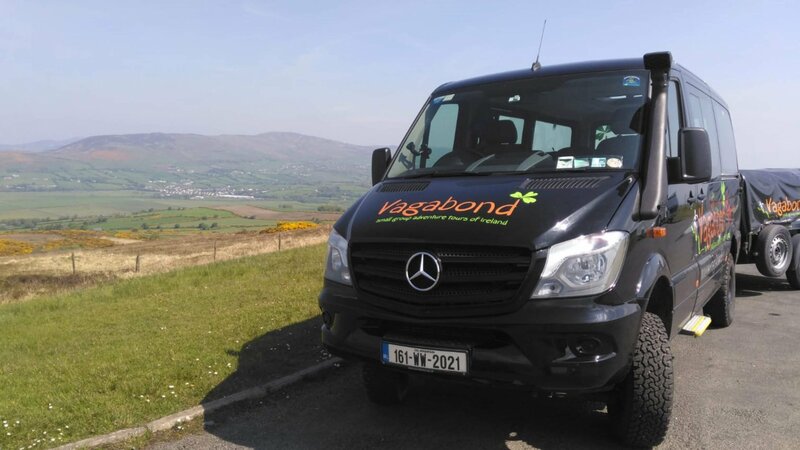 The tour spends two nights in the buzzing little fishing town of Dingle to give you time to partake in activities, get to know the area and the locals, to explore the shops, pubs, galleries and restaurants that abound there – or simply to chill out and catch your breath. Then you will travel north and cross the River Shannon into County Clare with the Burren and the Cliffs of Moher before heading into Galway city and then home to Dublin. You will see a huge proportion of Ireland's best scenery (just ask any Irish person). ✔️ Loads of laughs and fun along the way! Your guide will discuss options with you throughout your tour and plan accordingly. All tour prices and payments are in Euro only. The US Dollar prices above are a guide only, we can only quote exact prices in Euro. Activity:Hikes, cycling, kayaking and boat trip options. Pace Of Tour:7 days of activity, adventure and discovery. This tour requires a good level of fitness. For example, can you hike for 2.5 hours on undulating hill paths? Would you enjoy a 2.5 hour cycle on varying terrain? Estimated US$ guide price: $1,998 (based on US$1 = €0.84). Above price is for 2019 tours. Hi there! Are you interested in our fantastic small group tours of Ireland?